Monica teaches Vinyasa Flow Yoga influenced by the Krishmacharya, Kundalini, and Tantric lineages. She teaches a dynamic class focusing on uniting the body, breath, and spirit to quiet the mind, open the heart, and connect to the divine nature within. Classes may include Yoga philosophy, pranayama (breath control), Kirtan (chanting), and meditation. A mixed levels class suitable for those who wish to go beyond the physical aspects of Yoga. Monica’s studies in Tantra greatly influence her classes as she invites students to extend the experience of Yoga into daily life, relationships and service. The Tantric tradition sees the universe as sacred and unified with Spirit in all aspects of life. Utilizing the practices of Yoga, one can experience embodiment, open to the present moment, and allow the love, joy, abundance, and peace that is already present to manifest itself. Monica focuses on the entire mind, body, and spirit when developing a program for clients. Depending on the clients needs, Monica creates a very personal, effective program that may include any of the following: Specific Yoga postures and sequences, breath techniques (pranayama), meditation practice, diet modification and additional exercise prescriptions, specific reading material, Tantric exercises, and more. The client has the opportunity to use these ancient practices to experience transformative and healing benefits that can lead to a deeper connection to self and Spirit, inner peace, and reach one's fullest potential. Monica is featured monthly in her column for surfers in Blue Edge magazine, and leads Yoga/Surf retreats and special classes throughout the year. Her passion for surfing has influenced her teaching style to help surfers relieve tension associated with surfing, as well as building the core body strength and flexibility that is so vital to extend and enhance the surfing experience. Join Monica Mesa as she guides you through Yoga sequencesand fluid flows designed to empower, harmonize, and open the body, mind and heart. Yoga, meditation, and Transformational Breath in sacred community and on the beach to awaken and liberate your life force!Open to students and teachers who want tolearn several of Shiva Reas’ innovative Mandala Namaskars and practices through rhythmicvinyasas to lubricate the joints, spine, and mind with water basedmovements based on the quantum body. Enjoy waves of movement in your body and become one with your divinity on this special retreat. 3 days of yoga, surf, breath, organic food, and relaxing in beautiful Cabo San Lucas! ASK MONICA FOR DETAILS! YOGA FOR THE PEOPLE! Monica is also a certified personal trainer and wellness educator. 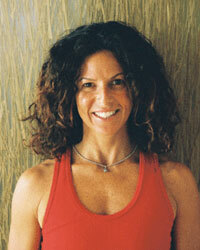 She combines her knowledge of yoga, fitness training, and nutritional consultation for all her clients' needs. The importance of using natural, non-toxic products is essential in the wellness lifestyle. The Swiss product line Arbonne International for skin care and nutrition needs is available by contacting me at 805-451-2882, yogamom3@yahoo.com or going directly to my web site at: www.yogamom.myarbonne.com.